Epithermal gold deposits are often appealing to mining companies because they are typically high-grade, small-size deposits. Epithermal deposits are a type of lode deposit. They contain economic concentrations of gold, silver and in some cases base metals such as copper, lead and zinc. Like other lode deposits, the minerals in epithermal deposits can be disseminated throughout the orebody, though more often they are contained in a network of veins. Aside from epithermal deposits, classic examples of lode deposits include VMS deposits and Carlin-type deposits. Epithermal deposits are distinctive from low-grade bulk tonnage deposits such as porphyries in that they are typically high-grade, small-size deposits. A few other characteristics distinguish epithermal deposits. Perhaps most notably, they are found at shallow depths, meaning that they are susceptible to erosion and can be easily mined. Gold is often the dominant metal in epithermal deposits, and for that reason epithermal gold deposits are a key point of interest when discussing epithermal deposits. Read on for a brief overview of epithermal gold deposits, from how they form to what the different types are. These deposits can be very desirable to mining companies, and it’s worth being aware of what makes them so alluring. As mentioned, epithermal gold deposits are often found near the surface of the Earth. In fact, mineralization generally occurs at a maximum depth of 1.5 kilometers, and rarely runs deeper than 600 meters — perfect for mining companies that want to get metal out of the ground easily. Due to their shallow depth, epithermal gold deposits form under moderate crustal temperatures of less than 300 degrees Celsius, and under medium pressure. These deposits commonly occur in island, volcanic and continental arcs associated with subduction. However, they can also be found in shallow marine environments and in association with hot springs. But how exactly do epithermal gold deposits form? Ground water is key to the process — when it comes into contact with hot molten rock deep underground, the silicate minerals in the rock are dissolved, as are metals in the rock, including gold, silver, lead and zinc. This ground water is also known as hydrothermal fluid, and as it moves it enters open spaces, such as cracks, joints and faults in the rock. Eventually the hydrothermal fluid cools, creating veins, and the resulting material contains the dissolved metals. Nearly any rock type may host epithermal gold deposits. However, they are most commonly found in igneous and sedimentary rocks. Typically, epithermal gold deposits are younger than their enclosing rocks, except in cases where deposits form in active volcanic settings and hot springs. Today most epithermal gold deposits are mined using open-cut pit technologies, though in the past underground techniques were used. As already noted, veins in these deposits tend not to extend far underground, but are often high grade. The Nevada-based Comstock deposit and Cripple Creek deposit in Colorado are examples of epithermal bonanzas. As explained above, gold is often the dominant metal in epithermal deposits, but that is not always the case. Sometimes these deposits hold more silver than gold — indeed, metals ratios vary widely among deposits, and even within a given deposit. Typically, silver-to-gold ratios tend to be higher in low-sulfidation deposits than in high-sulfidation deposits. All three deposit subtypes form under similar circumstances; however, intermediate- and high-sulfidation deposits form at greater depths. Unsurprisingly, high-sulfide deposits tend to be richer in sulfides, and may contain pyrite and enargite in addition to gold and silver. These higher-sulfide epithermal deposits that tend to be linked to porphyry deposits. I would like to read more about behavior of gold in epithermal system. 1) Epithermal deposits are primarily gold: Not true, there are numerous examples of silver-dominant epithermal deposits with minor amounts of gold relative to the silver content including Tonapah, Nevada, USA; Tayoltita, Durango, Mexico; Pachuca, Hidalgo, Mexico; Fresnillo, Durango, Mexico; Potosi, Bolivia; Los Gatos, Chihuahua, Mexico; Escobal, Guatemala; Dukat, Far East, Russia; etc. In general, I place the dividing line between gold-dominant and silver-dominant systems a a silver:gold ratio of 40. The crustal abundance Ag:Au ratio is about 50. Ag:Au ratios range from 1000. 3) Temperatures of ore deposition are not as low as 50 degrees Centigrade. The top of the ore is typically characterized by temperatures of 180-200C and the bottom of the precious metal zone by temperatures of 260-300C. Some hot spring gold deposits in which deposits occur immediately below sinters, such as McLaughlin in Nevada, gold deposition may have occurred at temperatures as low as 110C. 4) Epithermal deposits can be very large. Examples of large tonnage epithermal deposits include Round Mountain, Nevada, USA; Lahir, Papua New Guinea; Pascua-Lama, Chile; Velardena, Argentina; Cripple Creek, Colorado, USA. 4) All hydrothermal mineral deposits are, with the rare exception of mineralized sinters, younger than the host rock, though when they occur in association with volcanic rocks, the volcanic rocks are often only slightly older. 5) When significant gold in present in silver-rich epithermal systems. veins typically zone downward from a near surface gold-rich zone to intermdiate depth silver-rich zone then to deeper base metal zone. The Silverton District in Colorado is an excellent example of vertical zonation as is the San Sebastian mine, Durango, Mexico. Vertical zonation is not always the case. Lateral zonation also occurs as at La Cienega, Durango, Mexico. 6) Low sulfidation deposits are not typically silver-rich relative to intermediate or high sulfidation epithermal deposits. McLaughlin, California, Knob Hill, Republic, Washinton, USA; Cripple Creek, Colorado, USA; Round Mountain, Nevada, USA; El Oro, Mexico, Mexico; Bullfrog, Nevada, USA; Kupol, Far East, Russia; and Lahir, PNG are all low sulfidation deposits with low Ag:Au ratios. At Round Mountain Ag:Au ratios in the core of the deposit are as low as 2 and on the periphery of the deposit, are as high as 20. The Gold Hill deposit, just to the north of Round Mountain 3 miles or so is unrelated to the Round Mountain deposit and is a silver-dominant system. Saw your expanded comments on recent article on Epithermal deposits. ANd, thank you for correcting and expanding the more current view of epithermal deposits. One of the Companies mentioned is Bellhaven (BHV.VE). 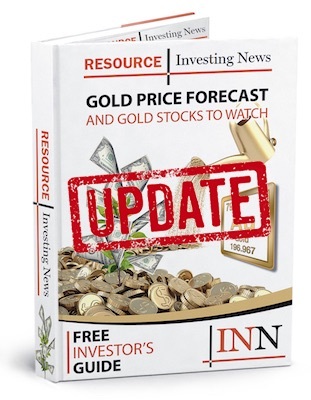 We are in the processing of acquiring one of their concessions that appears to have many of the characteristics you mention–but, in this case it is Mn with secondary gold.. I would love to further this discussion with you,, please replay to the email above (dr.mike.hirschberger779977@gmail.com) when u get a chance. Dr. Mike Hirschberger-Principal-Global Min-Metals, SA. Thank you for the very tutorial lesson given by Keneth S.
I surprised that Goldfield Nevada wasn’t brought up in any conversation, that high acid deposit yielded almost 5 million ounces of gold from an area about 600′ by 1500′ !! Some ore assayed at over 2800 ounces per ton !!! !